With Halloween right around the corner, spirits, ghost, and other spirits of the dead may be on the mind. As a child, Halloween was always my favorite holiday, and it continues to remain so in my adult years. Autumn, in general, is a whimsical time of year, and when the colors of the leaves and the crisp fall air is combined with stories of ghosts and other paranormal mythology . . . who can resist a little harmless fun entering such stories? I continued to believe in ghosts and other like creatures well into my mid 20s, but by the time I had finished graduate school, my belief in the paranormal had slowly been replaced with a philosophy of empiricism—the idea that claims need to be tested, vetted, and measured in order to be accepted or rejected. Despite a childhood obsession with ghosts and the paranormal, by early adulthood, I gave in and accepted that paranormal claims have not passed scientific scrutiny. 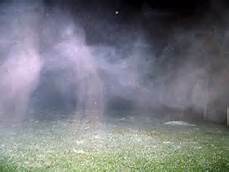 What remains interesting, however, is that despite the lack of credible empirical evidence for paranormal phenomenon (blurry photos, electric voice phenomenon (EVP), many Americans still believe. Depending on the survey, 40% to 90% of Americans believe in some form of paranormal phenomenon including ghosts, psi, pre-cognition, and witchcraft. In other words, if you believe in the paranormal, you are not alone. But what psychological characteristics enable belief in the paranormal? As recently as 2014, a study published in The Journal of Nervous and Mental Disease pointed out how researchers traditionally have pursued three different “lines of inquiry,” or, three different approaches, to investigating the psychology of paranormal beliefs. One area “has focused on cognitive reasoning processes,” Monisha Berkowski and Douglas MacDonald, the authors of the study, wrote. This area of research focuses on how a person processes information, their level of reasoning ability, and if any biases exist that may impede those reasoning skills. A second area of research focuses on personality characteristics and paranormal beliefs. And a third has focused on the link between paranormal beliefs and mental illness. • Personality traits such as openness to experience and sensation seeking predict paranormal beliefs. • In one study, children of alcoholics were most likely to belief in the paranormal. • Good coping strategies, such as resiliency, are negatively correlated with belief in the paranormal; in other words, the more resilient a person is, the less likely they are to believe in the paranormal. Although the above list is in no way conclusive, it highlights the different ways researchers have studied personality traits, mental illness, reasoning and belief in the paranormal. As researchers continue related work, it remains foreseeable that more will be discovered among psychological mental processes and paranormal beliefs. Finally, as Halloween approaches in the coming weeks, many people will undoubtedly engage in harmless holiday fun, telling ghost stories, dressing up, and going door-to-door for candy . . . continuing the Halloween tradition that has been repeated for centuries. That said, however, it is possible that recent psychological research into the paranormal has revealed more about how and why some individuals are more prone to belief in the paranormal than others. So the next time you get a chill up your spine after hearing a ghost story, perhaps pause to consider what cognitive processes and psychological factors may be continuing to your reaction rather than merely the contents of the story itself. Berkowski, M, and MacDonald, D. A. (2014). Childhood trauma and the development of paranormal beliefs. The Journal of Nervous and Mental Disease, 202(4), 305 – 312.